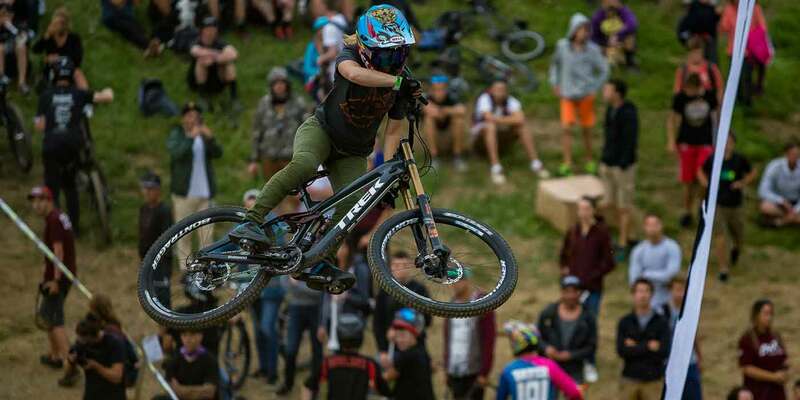 Watch Crankworx Whistler Broadcasts LIVE online. 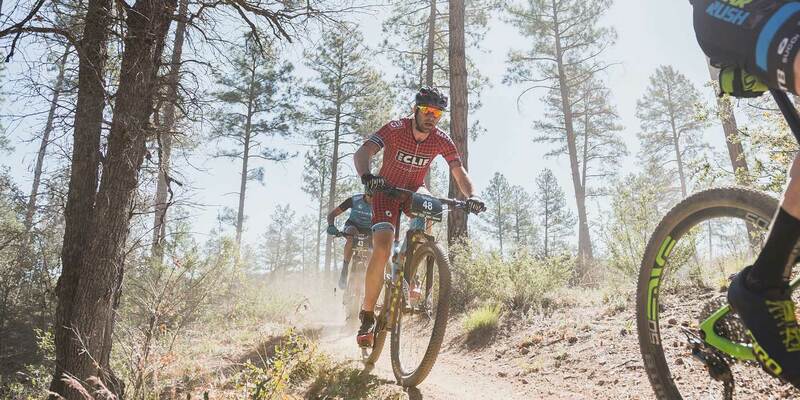 Tune in for all the action — like CLIF Bar Dual Speed & Style, highlights, replays, event details, and more. In 2017, when most cities have an abundance of healthy food options, this Bronx neighborhood of Crotona is a food desert. Fresh produce and organic food isn't easy to come by. 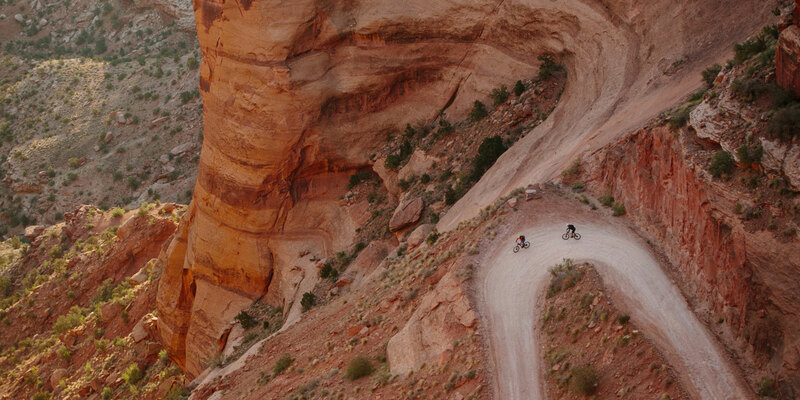 Residents often have to travel far from home for it—an option that is neither realistic nor convenient. This lack of fresh, healthy food results in high rates of asthma, diabetes, obesity, and hypertension . But the landscape is slowly changing. 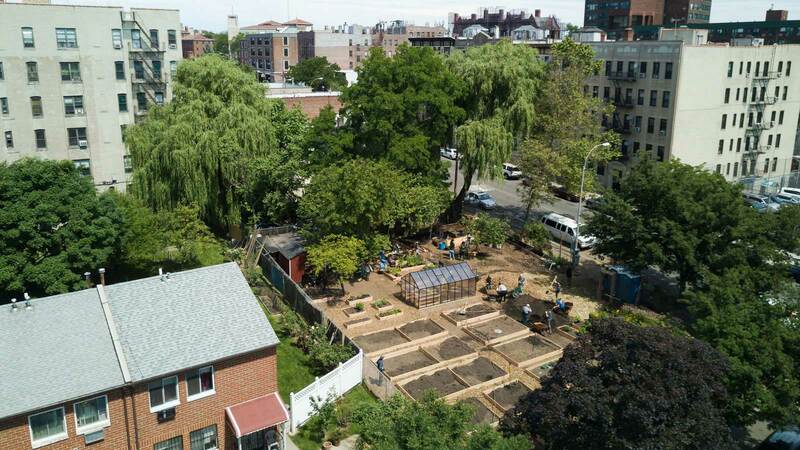 Today’s Bronx has more than 200 community and school gardens, many of which were abandoned lots that have been converted into places to grow vegetables and organic food. And in Crotona, just a few blocks from the Bronx Zoo, Rufina's garden is now thriving. In fact, the entire 8,000 square feet of the Garden of Youth has been reclaimed as a green space for the whole community to enjoy. For six days this summer, a group of 19 people from 13 companies worked together with local community gardeners and non-profit organizations (Bronx Green-Up, of the New York Botanical Garden, and The Mary Mitchell Family & Youth Center) to completely transform the Garden of Youth. It was messy. It was dirty. It was sweaty. And it was planned months before after In Good Company asked local non-profits, "What could we do that would help the neighborhood the most?" The answer that came back was clear and simple: "A garden." Taking out the trash was the first order of business, so In Good Company volunteers hauled out the layers of old carpets and scrap wood Rufina had put down to fight weeds during the nearly two decades she spent gardening this plot. They filled garbage trucks with bottles, carpets, broken toys, rotted lumber, and miscellaneous debris that had accumulated over the years. The work was hard but incredibly rewarding. "I spend most of my day either behind a computer or standing up in a room videotaping people while they talk. And this is completely different," said Dave Yewman, co-owner of Elevator Speech, an In Good Company partner. "I've been shoveling and raking and breaking apart wood, and I got to load a garbage truck for two days in a row, so I kind of smell like that, too. And I haven’t been this sore on a Tuesday in a long time," Yewman continued, laughing. 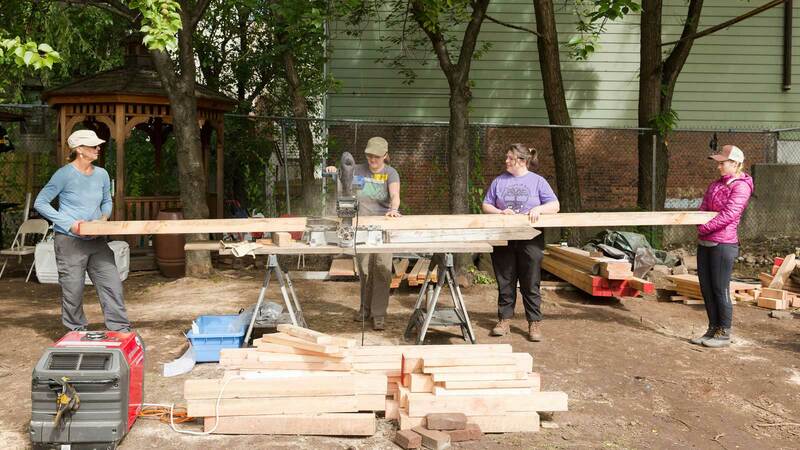 Lynne Steckbeck (EILEEN FISHER), Olivia Wilson (Clif Bar), Sarah Graham (Timberland), and Melody Ainsworth (Annie’s) cutting lumber. When all the trash (two truckloads worth) had been hauled away, volunteers picked up rakes, picks, and shovels to level the ground and create neat, squared beds—for the sake of efficiency, but also to make the garden compelling and attractive to the neighbors. They built benches and picnic tables, and even made a section of the garden ADA compliant, constructing tall, narrow beds so a person in a wheelchair can easily navigate the paths and care for the plants. 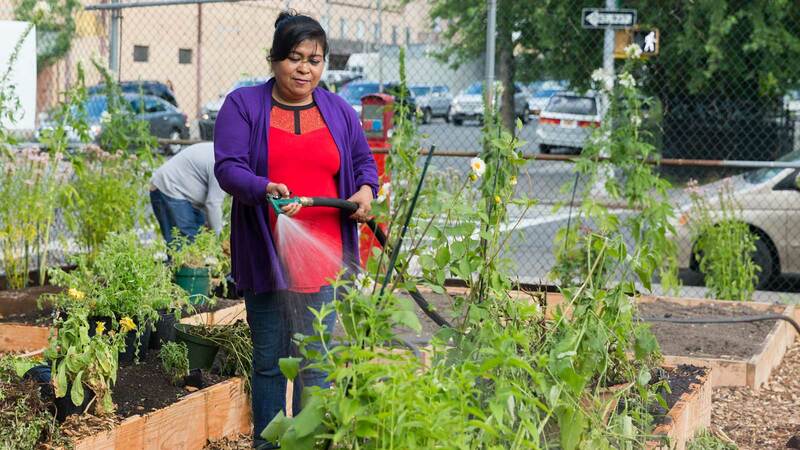 Fixing up a garden might seem like a small thing, but it can have a big impact on neighborhoods like Crotona, an impact that goes far beyond the actual produce grown here. 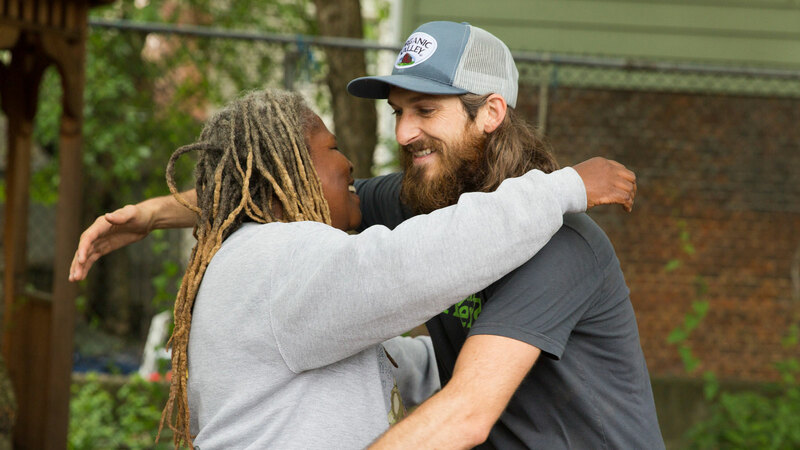 As one community organizer put it, restoring the Garden of Youth is a whole process that "cultivates community and harvests peace" in a neighborhood that could use more of both. 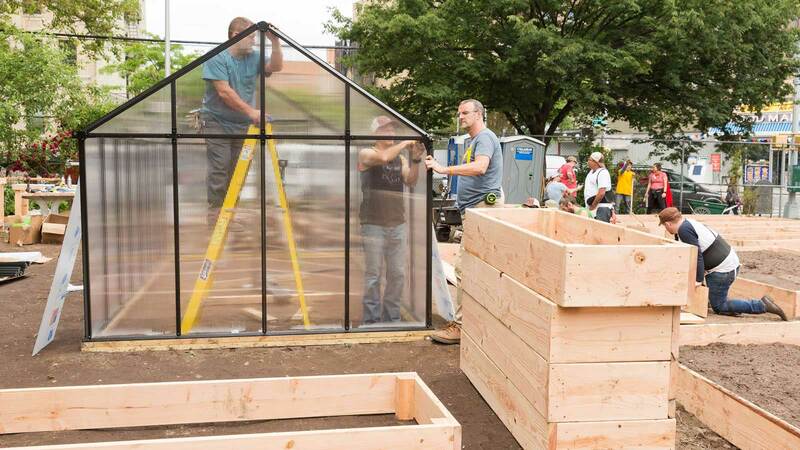 Carl Thompson (States Logistics), Joe Philips (Clif Bar), and Dave Yewman (Elevator Speech) build the greenhouse. So with just six days but many able hands, In Good Company built 31 garden beds, an 8' x 16' greenhouse, planting tables, picnic tables and benches, and a three-bin composting system. They filled the raised beds with 60 cubic yards of compost, and spread 50 cubic yards of wood chips over the garden pathways. They built a section of the garden just for kids, with kid-sized raised beds for planting and discovery tables filled with sand and rocks for tactile play, covered by a chalk-able surface for drawing. They planted a sensory garden with colorful flowers like marigolds and dahlias, and fragrant herbs that attract pollinators—fennel, basil, sage, mint, lavender. They even created a living green tunnel that's the perfect height for kids to play in, and a rainbow colored xylophone made of wood. Once the Crotona locals saw what was happening, they got involved, too. "We were in here working and all of a sudden the next-door neighbor comes out of his house and starts raking trash from the other side of the fence! He starts clearing his area on his side, taking all these bags of trash from his side of the fence and hauling those out to the street," said Melody Ainsworth-Norris, who works for Annie's Homegrown, an In Good Company partner. Before the work on the garden ever began, In Good Company checked in with the community to make sure this garden would not just be welcomed in Crotona, but maintained—by local gardeners and community programs like those of The Mary Mitchell Family & Youth Center—long after the volunteers returned home. "It's one thing to come and put in a garden, but you have to make sure there’s somebody there to take care of it or it’s going to look like a weedy mess pretty soon," said Ursula Chanse, director of Bronx Green-Up. "The thing I love about In Good Company is that community members are part of the week’s work. 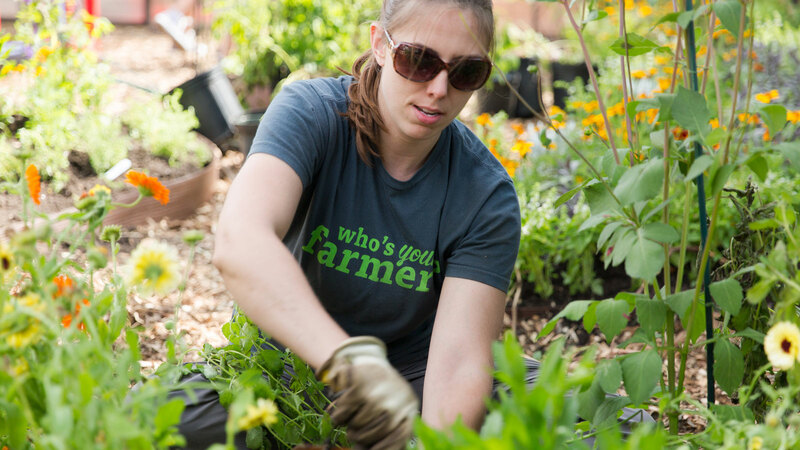 Volunteers can work with neighbors, work alongside each other and appreciate what people in the community have already brought to the garden." The energy In Good Company created in the Crotona neighborhood has inspired 49 gardeners to sign up to participate in the Garden of Youth. Within a week of the project’s completion, 91 students from two local schools had already visited to get their hands dirty. Local gardeners now have dedicated space to garden, and The Mary Mitchell Center has an outdoor space for the local school and their own youth programs. The garden is flourishing now, producing eggplant, sweet pepper, chard, collards, papalo, callaloo, squash, corn, beans, tomatillos, and tomatoes. The raised beds that In Good Company volunteers built are now maintained by community gardeners, and the food they grow is theirs to keep. So all the food that now grows at the Garden of Youth has a place and a purpose, either finding its way to the homes and tables of the local Crotona community or earning money for the community through the La Familia Verde market. Many thanks to our Bronx non-profit partners, Bronx Green-Up and The Mary Mitchell Family & Youth Center and La Familia Verde. Bronx Green-Up is the community outreach program of The New York Botanical Garden, providing horticultural advice, technical assistance and training to community gardeners, school gardeners and anyone interested in bringing much-needed green to the Bronx. The Mary Mitchell Center is dedicated to providing leadership development, opportunity expansion and community building in the Bronx. 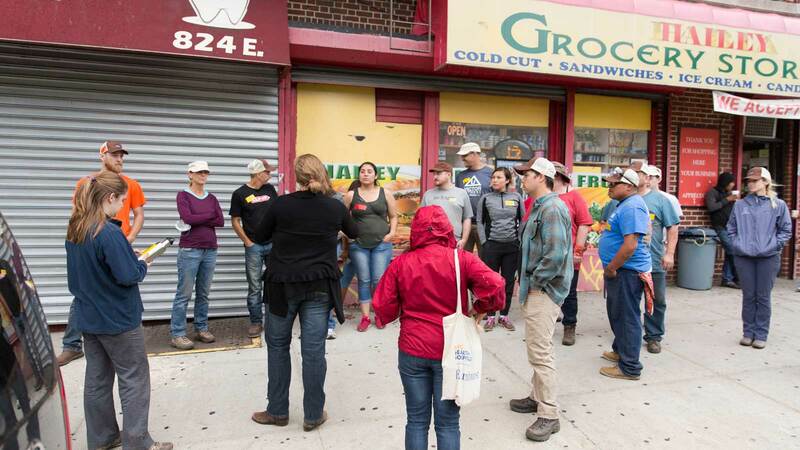 And thanks again to American Licorice, Annie’s, Clif Bar & Company, Clif Bar Baking Company, Clif Family Winery, EILEEN FISHER, Elevator Speech, Fairware, King Arthur Flour, Klean Kanteen, Organic Valley, States Logistics and Timberland for participating in the 2017 In Good Company community garden build in the Bronx.